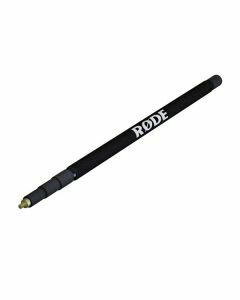 The RODE Mini-Boom Pole is a lightweight, high grade professional boom pole. The Mini-Boompole allows you to mount your microphone securely and swivel it in a range of directions that will allow you to easily change positions and follow your sound source. Extends from 0.84m (33") to 2.05m (81").